Tiffany's Online Finds and Deals: Cheap Fans UNDER $10! Walmart currently has some great deals on fans all under $10. Free store pickup or free shipping on $35! 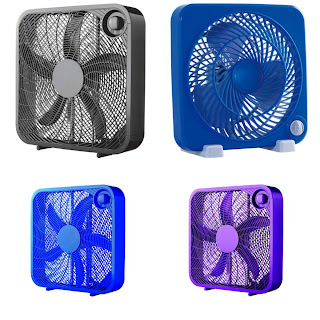 Mast 9" Personal Fan only $4.88! Stay cool with the Mainstays 20" Box Fan. 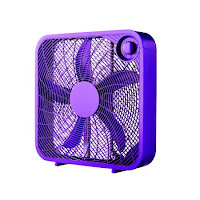 The vibrant purple color is sure to brighten any room, office, garage, or basement. This fan features 3-Speed Settings that will control the air flow to meet your comfort level. The unit is window safe. There are built-in feet and cord storage for your convenience.